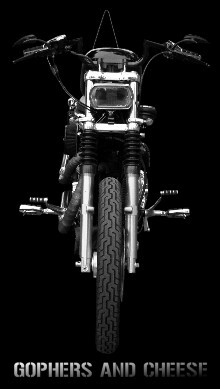 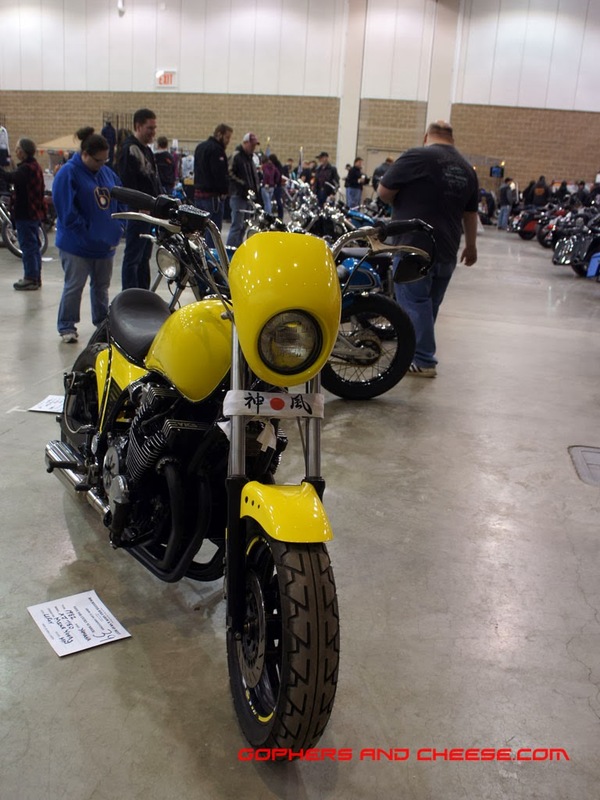 There was a small selection of Japanese bikes at the Rochester Bike Show too including this 1980 Kawasaki KZ750 from S&J Kustomz. 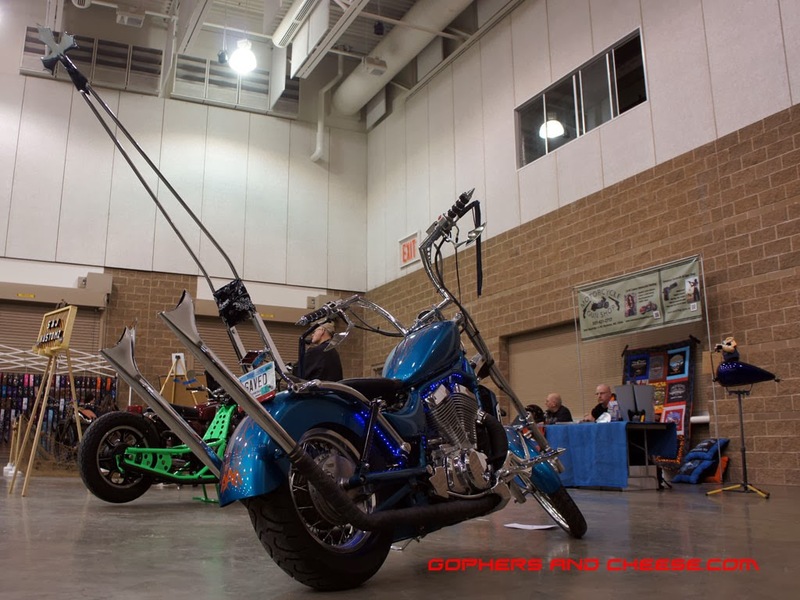 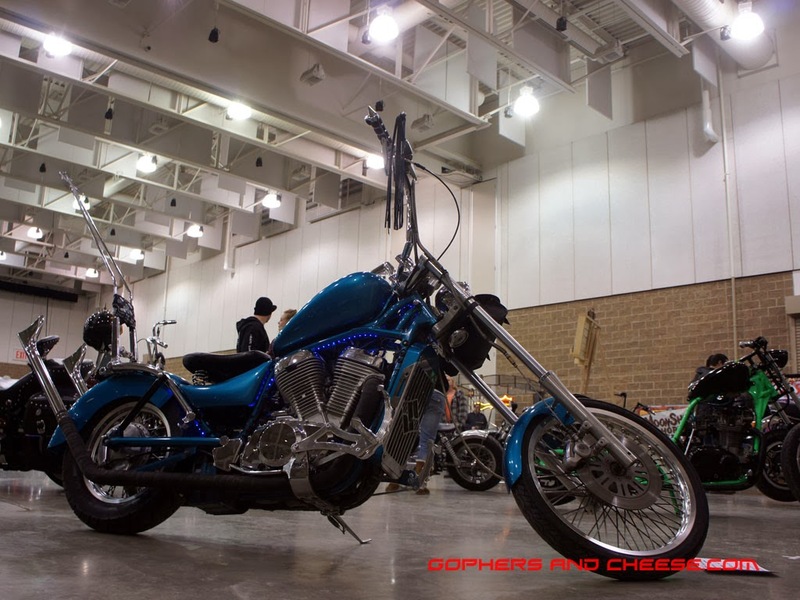 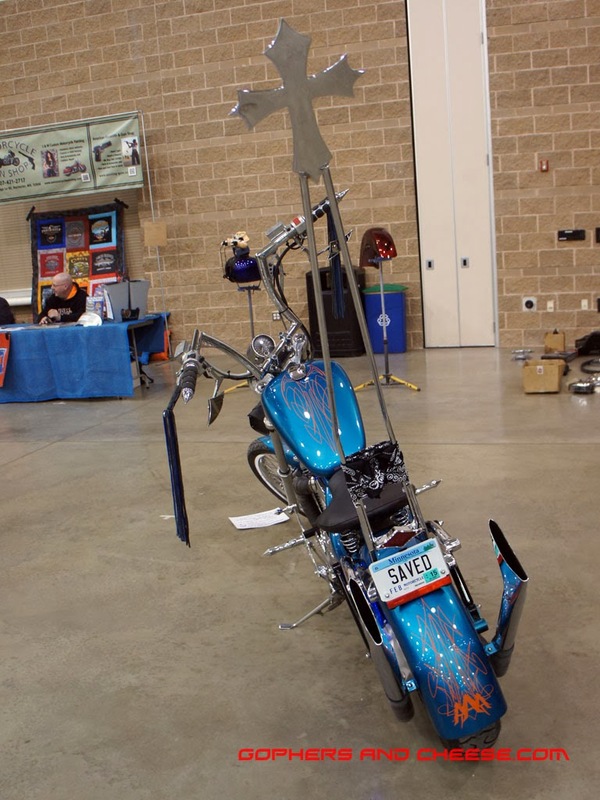 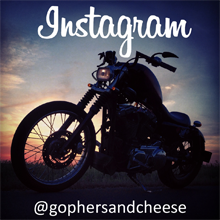 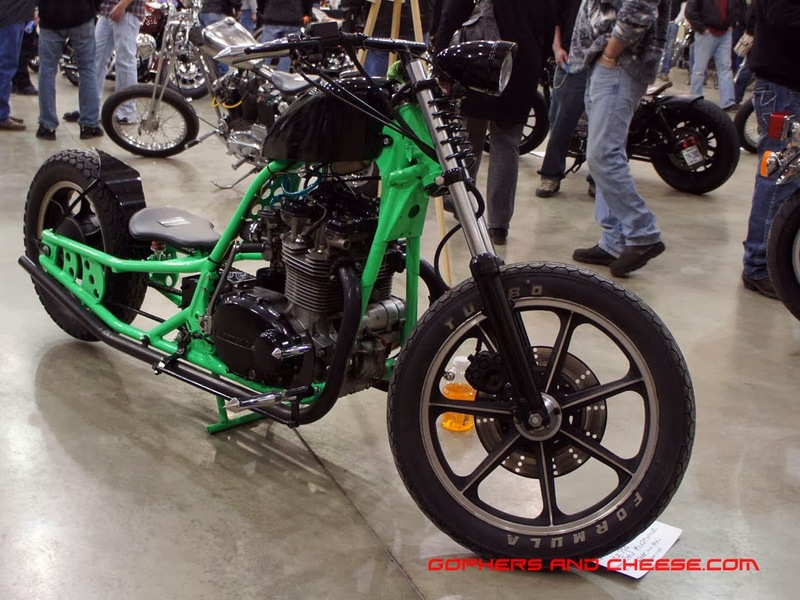 This 1996 Suzuki Intruder (also from S&J Kustomz) proves, "the taller the sissy bar, the closer to God." 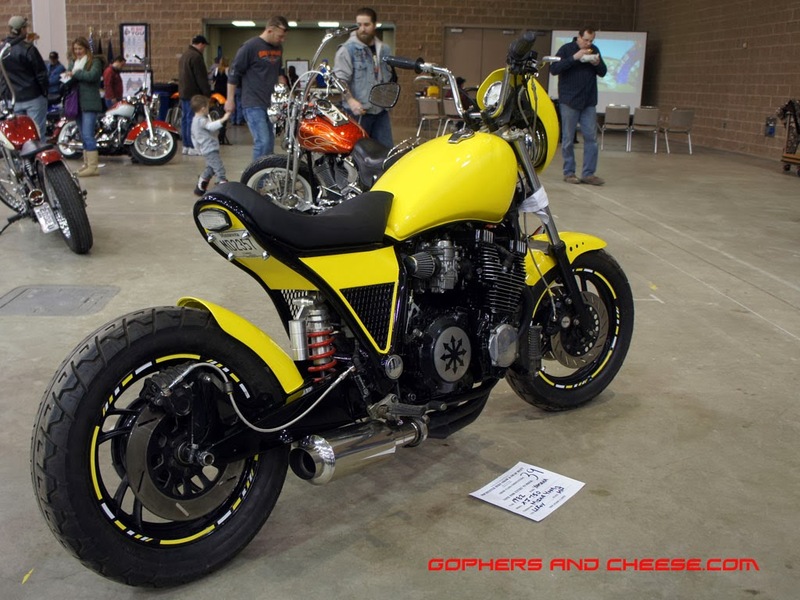 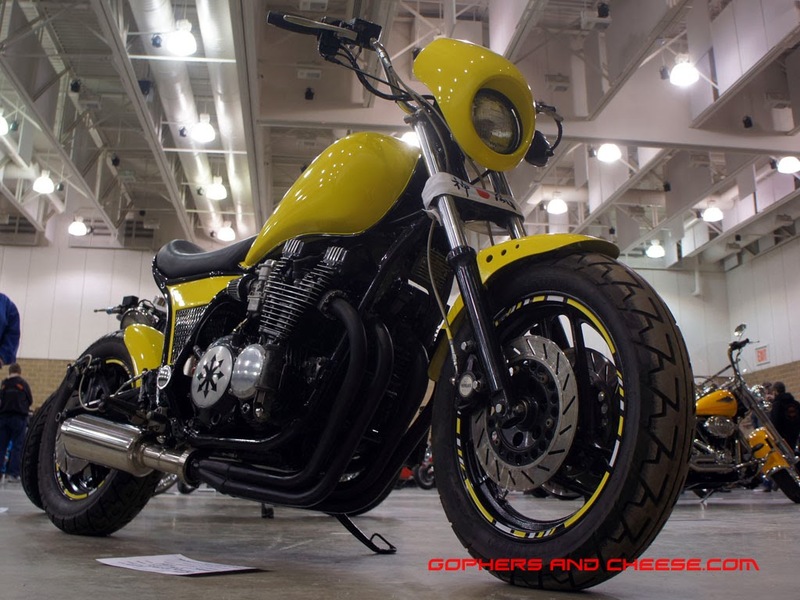 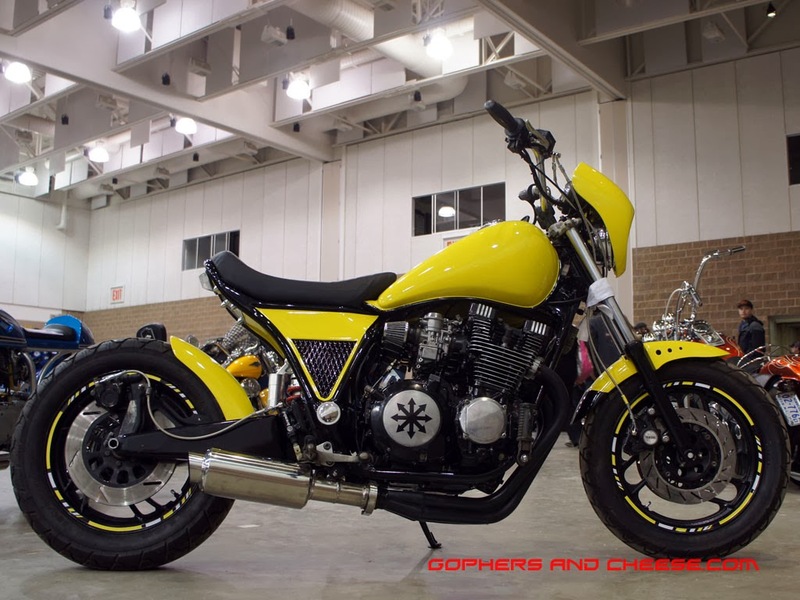 This bright yellow 1982 Yamaha XJ750 really stood out.